Sharing and inviting collaborators to your project is something we made super easy. You can either share the URL, invite them by typing in their email address. 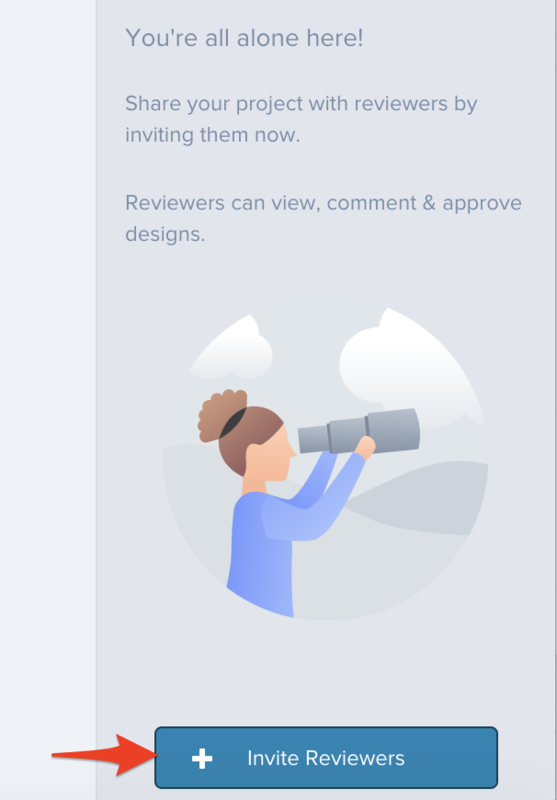 Our customers find the simplest way is to share the URL in an email to multiple reviewers at once. 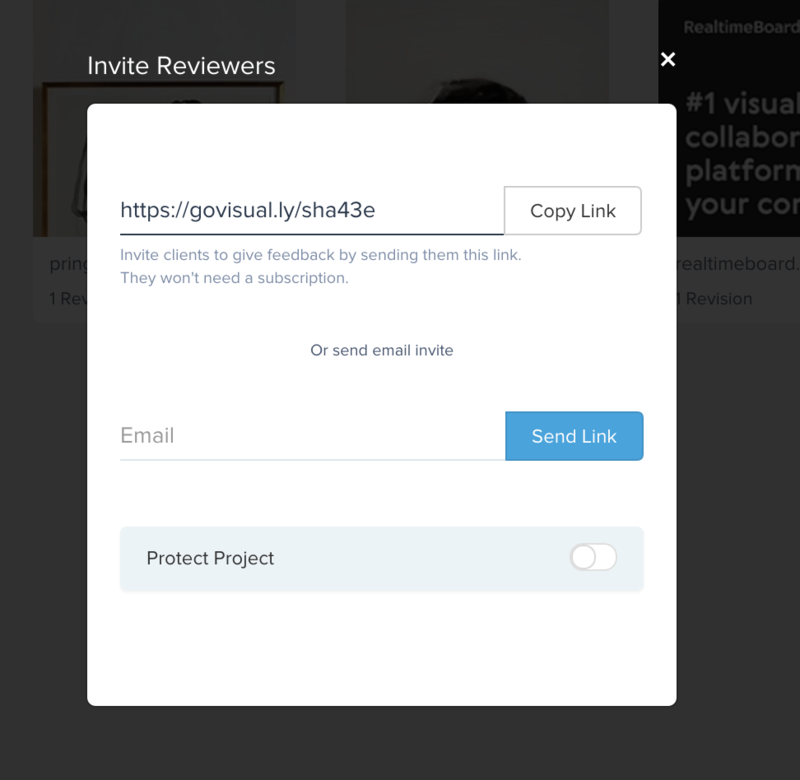 Please note: clients or reviewers don’t need a GoVisually subscription to access shared links. They are simply asked their details so they can be kept in the loop.